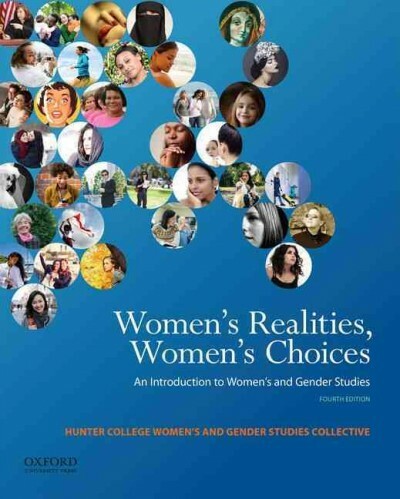 The Xavier University Newswire students can sell Women's Realities, Women's Choices (ISBN# 0199843600) written by Sarah Chinn, Linda Martin Alcoff, Jacqueline Nassy Brown, Florence Denmark, Dorothy O. Helly, Shirley Hune, Rupal Oza, Sarah B. Pomeroy, Carolyn M. Somerville and receive a $28.25 check, along with a free pre-paid shipping label. Once you have sent in Women's Realities, Women's Choices (ISBN# 0199843600), your Xavier University Newswire textbook will be processed and your $28.25 check will be sent out to you within a matter days. You can also sell other The Xavier University Newswire textbooks, published by Oxford University Press and written by Sarah Chinn, Linda Martin Alcoff, Jacqueline Nassy Brown, Florence Denmark, Dorothy O. Helly, Shirley Hune, Rupal Oza, Sarah B. Pomeroy, Carolyn M. Somerville and receive checks.